We use proven and innovative technologies to safely and responsibly produce oil and natural gas in a wide range of geologic settings, including some of the world’s most challenging areas. We leverage technologies where they can create the most value. Onshore, we’re growing our production in the United States through horizontal drilling and hydraulic fracturing – an expertise that we’re quickly adapting for other opportunities in Canada and Australia. Offshore, we’re implementing systems that allow us to operate, monitor and maintain stability of a platform remotely from anywhere in the world, while focusing on technologies that enable us to optimize production and operate safely. Our onshore operations help meet the world’s growing energy needs in a safe, environmentally responsible and sustainable way. We work to build strong relationships with landowners and local communities and provide relevant information. We strive to promote understanding of our operations, engage and contribute positively to communities and minimize development impacts. 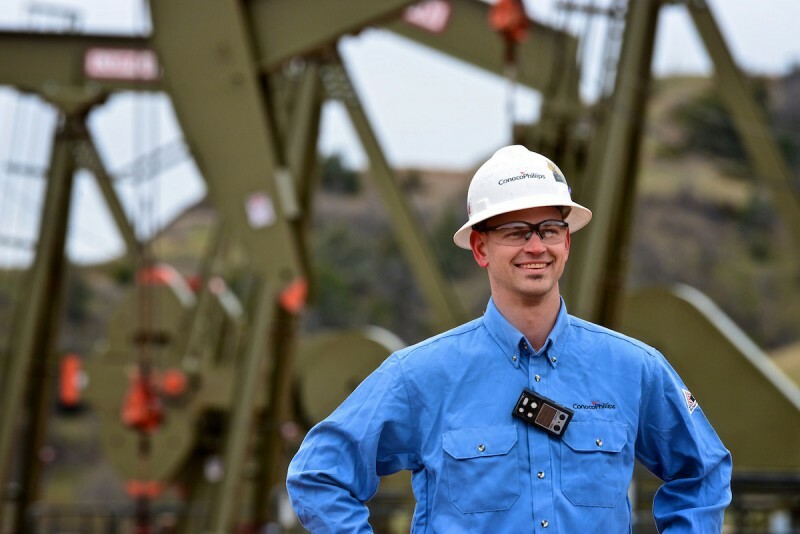 We also apply proven techniques as well as the latest advances in technology – developed through our own research, as well as through collaboration within the industry – to safely and responsibly develop oil and natural gas. One way we’re doing this is by combining horizontal drilling with hydraulic fracturing to unlock new production from unconventional reservoirs, including areas where oil and gas pioneers began searching for hydrocarbons more than 100 years ago. From our operations in North America to those in Australia, we follow a set of Global Onshore Well Management Principles throughout the life cycle of a well, ranging, for example, from discussions with local communities during drilling site selection to the permanent closure of a depleted well and final restoration of the land. These principles reinforce our core values, incorporate established industry standards and are designed to meet or exceed regulatory requirements. While prevention of any spill through appropriate project planning, design, implementation and leadership is one of ConocoPhillips’ primary objectives, we currently have plans and an organization in place that we believe can effectively respond to incidents affecting our operation. We’re also working with others in our industry to develop new spill response strategies. In July 2010, ConocoPhillips along with ExxonMobil, Chevron and Shell founded the Marine Well Containment Company (MWCC), an independent company that provides well containment equipment and technology in the deepwater U.S. Gulf of Mexico. As a leader in deepwater well containment technology and deployment, the MWCCs mission is to be continuously ready to respond to a deepwater well control incident in the Gulf of Mexico. As a result, in February 2011, MWCCs interim containment system became available for use in the Gulf of Mexico. MWCC is currently developing an expanded containment system which further increases capacity. Engineering and procurement are well advanced, and fabrication has been initiated on all key components; the expanded containment system will be available for use in 2013. In addition, ConocoPhillips along with 8 other international energy companies formed another nonprofit initiative, the Subsea Well Response Project (SWRP), to assess and design equipment, develop operational plans to build on existing capabilities and enhance the ability of the international oil industry to respond to a subsea well-control incident in global waters. The project aligned with Oil Spill Response Limited to operate the equipment from four shore bases located in Norway, Singapore, Brazil and South Africa. SWRP is working to make the four capping stacks and two dispersant/site clearing toolboxes available in 2013, and the containment concept is targeted for 2014. To help improve drilling safety, ConocoPhillips is working with an oilfield service company to create a new downhole tool used in the well called an in-line casing packer. This device would provide a mechanical seal in the empty space of a well casing during the vital cementing process, thus eliminating a potential leak path that exists before new cement has had time to fully harden. This will help to eliminate the potential for hydrocarbon migration and thus ensure a well’s mechanical integrity.